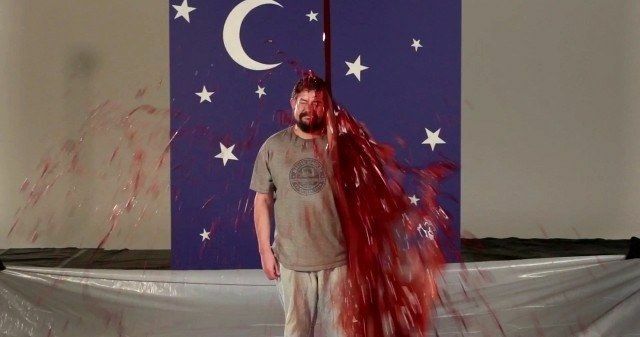 During a press event for Carrie, which is now available on Blu-ray and DVD, our own Brian Gallagher was invited to a Hollywood studio where a bucket of fake blood was dumped on his head, just like the iconic scene in the horror remake. Obviously, his acting skills aren't nearly as good as Chloe Moretz's, but you can take a look to see his reaction as the blood is literally spilled. You can also CLICK HERE to read our interview with director Kimberly Peirce, and take a look at the special features details below.